Based on the reviews from Amazon.com, these are the 3 best wireless headsets that are cheap. These headsets are great for kids and college students on a budget. LG usually create quality tech products. With over 4,000 positive reviews, the LG Electronics Tone Pro wireless headset is a great product at a reasonable price. 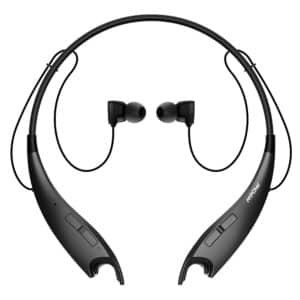 The LG Electronics Tone Pro Bluetooth Wireless Stereo Headset comes in black, has a 3D neck-behind design. These headsets will give you about 15 hours of talk time or music time per charge and is aptX compatible. The aptX feature helps increase overall audio quality for music. An added feature to these wireless headsets is the Google Voice Actions Integration. Senso has created many reliable cheap wireless headsets. 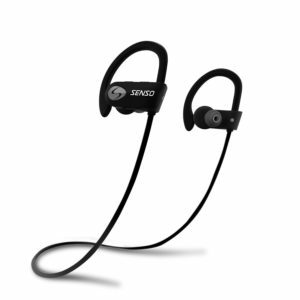 These Senso Wireless Sports Headset must have been engineered by the best in the industry because it has over 13,000 positive reviews on Amazon. They provide an amazing sound quality during phone calls and when listening to music. This headset is waterproof. The battery lasts around 8-9 hours per charge. The headsets deliver a crisp digital sound that will bring you the best clarity and depth of the music that you enjoy the most. MPOW is a newer brand with some cool gadgets. Their MPOW Jaws wireless headset has over 4,500 positive reviews on Amazon. Their MPOW Jaws has a comfortable neck-behind design and a built-in magnet that holds the earplugs. These headphones provide great sound and allow auto switching between phone calls and music. The rechargeable batteries last about 13 hours per charge. 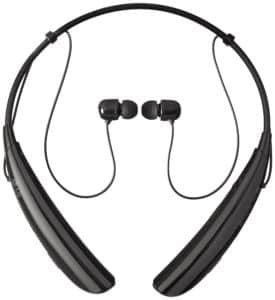 I’m currently using the LG Electronics Tone wireless headset. They are a great pair of headsets, especially for the price. One issue that I have with this headset is that sometimes I’ll get some static if I have my cell phone in my pocket. Not a big deal but thought I’d mention it. Previous articleWhat are the Best Laptops for Seniors & Kids?